James Bond's second adventure is also one of his best. With a more realistic and well-paced plot, Sean Connery in the groove, a genuine life and death struggle, and Daniela Bianchi actually succeeding in creating a believable person as the main Bond girl, From Russia With Love delivers all that is good about the series. To avenge the death of Dr. No, SPECTRE hatch a plot to kill Bond while sparking tension between east and west and making money as a bonus. The evil plot is masterminded by chess grandmaster Kronsteen (Vladek Sheybal) and implemented by Soviet defector Rosa Klebb (Lotte Lenya). They recruit lowly clerk Tatiana Romanova (Bianchi) at the Soviet Embassy in Istanbul to lure the British by offering to facilitate the theft of a coveted Lektor cryptograph. To ensnare Bond, the plot requires Tatiana to insist that she will only deal with him, with Kronsteen's plan calling for Bond to be killed and the Lektor sold back to the Soviets once the deed is done. MI6 gets the message from Tatiana, and despite sensing a trap Bond travels to Istanbul, where he joins forces with resourceful local station intelligence chief Ali Kerim Bey (Pedro Armendariz). 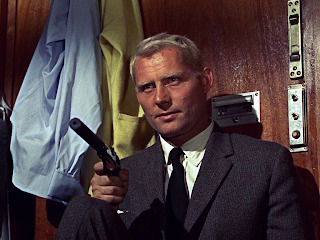 SPECTRE assassin Red Grant (Robert Shaw) is soon shadowing Bond and stoking tensions between the British and the Soviets. Tatiana makes contact with Bond, seduces him but also falls in love with him, while the arrangement is made for Bond and Kerim Bey to seize the Lektor. The escape route is via a long train ride on the Orient Express, where Bond has to fend off a Soviet agent and a ruthless Grant, out to seize the Lektor and eliminate Bond. In a case where less is more, From Russia With Love has a single gadget (a tricked-out briefcase), one main foreign location (Turkey), one prominent and effective ally (Kerim Bey), and one main romantic interest (Tatiana). 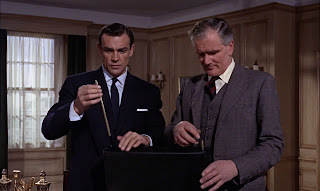 The bad guys are given plenty of time to explain and plan their plot, and the theft of a cryptograph machine is more consistent with actual spy missions than the outlandish objectives of most other Bond villains. In the form of Kronsteen, Klebb and Grant, Bond faces a triple threat of smart and ruthless enemies, with Lotte Lenya giving Klebb, in particular, nightmarish qualities of ugly but undisguised evil. Tatiana Romanova, with a mercifully normal name, is a star-struck secretary, thrust into Bond's orbit and quickly falling for him. But believing that she has been recruited by the Soviet state, Tatiana is still loyal to her mission as she seduces Bond. 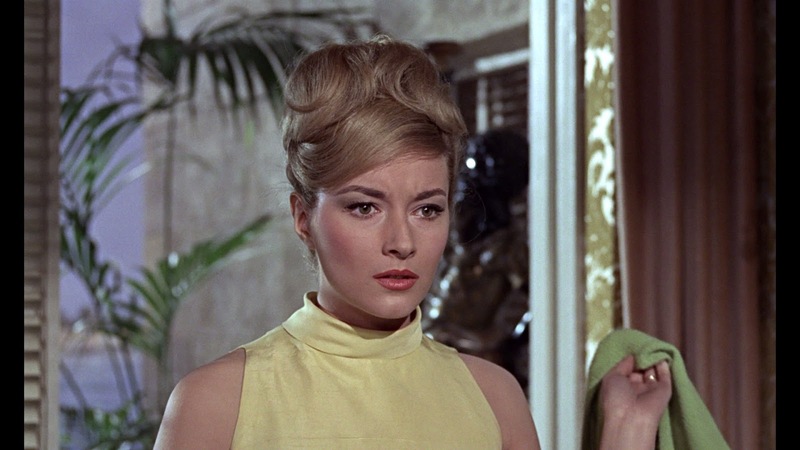 Rarely has the series thrown up a girl as interesting as Tatiana, and despite her voice being dubbed, Daniela Bianchi makes for a memorable Bond girl. Connery's Bond is witty and dangerous, aware that the odds are stacked against him in hostile territory but enjoying the game all the same. Connery is just as comfortable playing the rabbit as he is playing the fox, poking foes while parrying their thrusts in a performance that oozes confidence. Revenge against Bond, and the central demand that he be killed, is another unique attribute permeating throughout From Russia With Love. Bond is both the hunter and the hunted, going into a trap eyes wide open, but nevertheless unable to resist the opportunity to grab a piece of essential Cold War hardware. As the tip of the spear aimed at Bond's heart, Robert Shaw creates in Red Grant a formidable killing machine, ironically helping to keep Bond alive until the theft is done, and then moving in for the final kill. The climactic fight to the death between Bond and Grant in the tight confines of a train cabin is brilliantly filmed by director Terence Young, and edited with crunching intensity by Peter Hunt. In a troubled production beset by cost over-runs, script challenges, and scary on-location accidents, Young and Hunt produce a miracle of streamlined and smart action film-making, an early quality standard for the rest of the series to aspire towards.